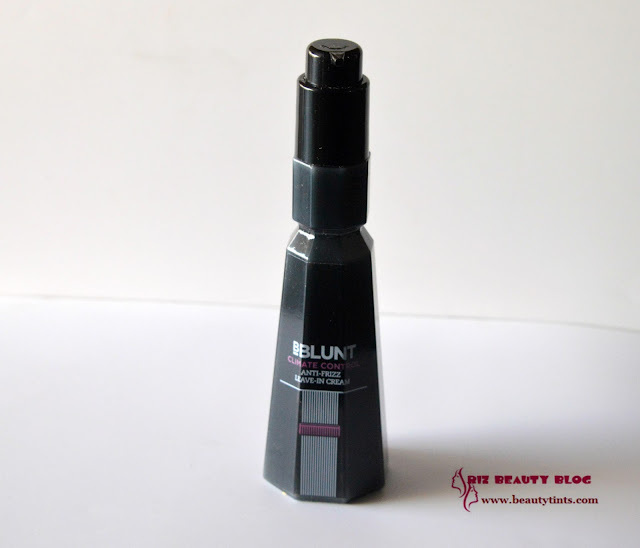 Sriz Beauty Blog: BBlunt Climate Control Anti-Frizz Leave-In Cream Review!!! BBlunt Climate Control Anti-Frizz Leave-In Cream Review!!! 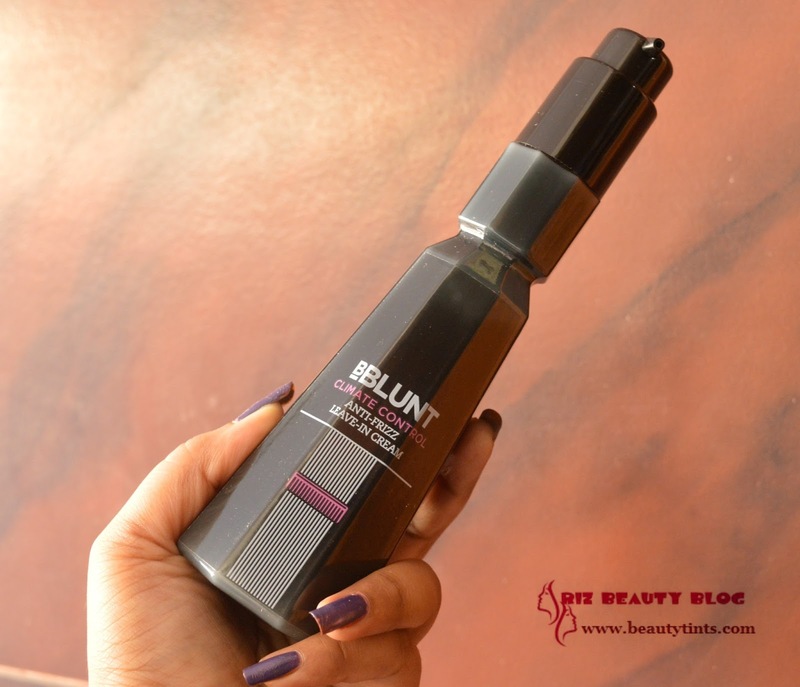 Recently I reviewed the BBlunt Dry Shampoo and today I am reviewing one more product from the brand which is their Climate Control Anti-Frizz Leave-In Cream,which I received in my March My Envy Box and is now my current favorite hair product!!! 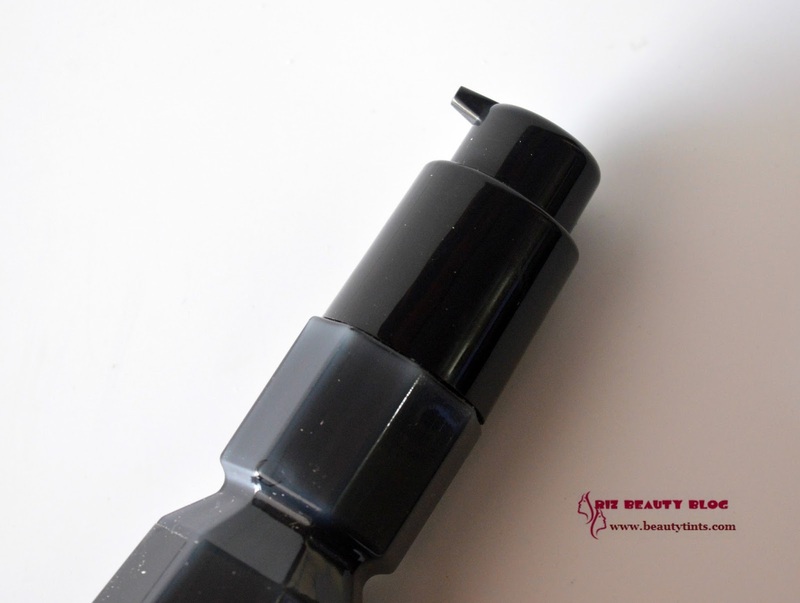 Packaging : This comes in a stylish and classy black colored bottle with a pump dispenser. 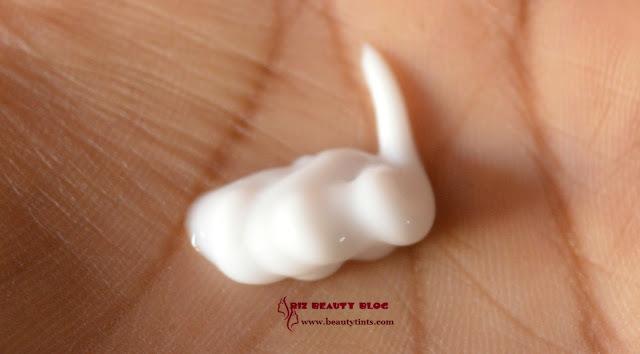 What the product Claims : This versatile cream ensures your hair looks great, however hot,dry or humid it gets out there. 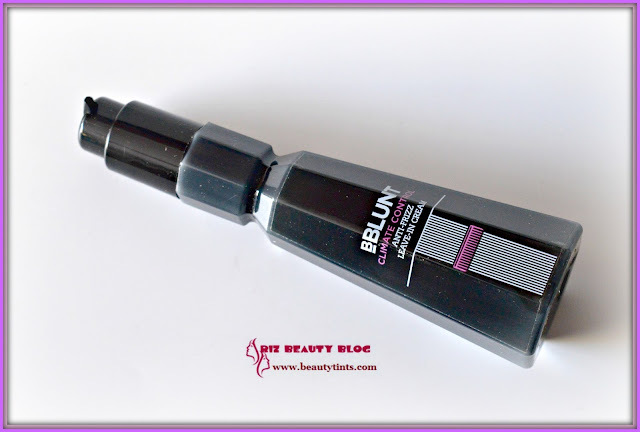 It enhances natural movement, smoothens and leaves you in charge, whatever the weather. Ingredients : Hydrolyzed Keratin, Quinoa - the protein with 8 essential amino acids & Provitamin B5. Directions for use : Works best on damp,towel dried hair.Take small quantity in to palms and apply evenly,focusing on mid lengths and ends,keeping away from the scalp.Style as desired. 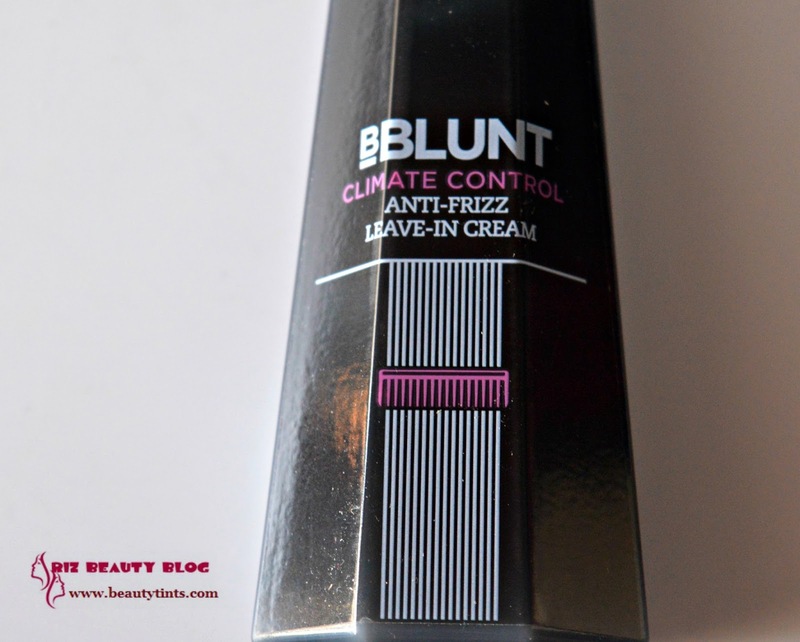 My Views On the Product : This BBlunt Climate Control Anti-Frizz Leave-In Cream comes in an attractive black bottle with a pump dispenser which dispenses the right amount of product with out wastage.The cream has a medium consistency similar to most conditioners and has a mild yet wonderful floral kind of fragrance which I really like but it doesn't stay for longer hours.It has to be applied on damp hair after shampooing alone or after shampooing and conditioning.I generally do not use conditioners much as I have soft and limp hair.If I use a conditioner,it weighs down.But I love to use this Leave-in cream on my towel dried damp hair as it controls frizz with out weighing down.It is just perfect for my limp hair.It helps in detangling the hair easily with out any pain and helps in giving a smooth anti frizz hair.I tried using it on dry hair also and it worked amazingly well in that way too.it also has heat protecting properties and so it can be used before blow drying and styling.It can be used anytime and any where as it is very easy to apply and there is no need to rinse. Final Conclusion about BBlunt Climate Control Anti-Frizz Leave-In Cream : This BBlunt Climate Control Anti-Frizz Leave-In Cream is a wonderful cream which gives a soft and smooth hair by reducing frizz and tangles with out weighing down the hair!